Best-selling author Christine Lynxwiler lives with her husband and two precious daughters in the foothills of the beautiful Ozark Mountains. Christine has been writing toward publication since 1997. She sold her first story in 2001 to Barbour Publishing. Since then she's written and sold fourteen Christian romance novels and novellas including the four novels that were included in the best-selling book Arkansas, which has sold over 150,000 copies worldwide. Her novel, Forever Christmas, ranked number 12 on the Christian Bookseller's Association Bestseller List in January, 2009. 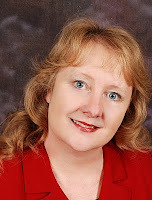 A four-time winner of the prestigious American Christian Romance Writers/American Christian Fiction Writers' Book of the Year Award, Christine recently signed a new six-book contract with Barbour Publishing bringing her total of contracted books to twenty. Besides, Along Came a Cowboy, her latest novels include Promise Me Always and Forever Christmas. She also writes mysteries with two of her sisters, Sandy Gaskin and Jan Reynolds. Their book, Alibis in Arkansas, is currently available nationwide, as well as in many bookstores. The first book in Christine's new McCord Sisters series, The Reluctant Cowgirl released in April, 2009 and was a TOP PICK in Romantic Times Magazine. When Christine isn't at her computer, you'll often find her, with her husband, co-coaching their daughters' softball team, kayaking down beautiful Spring River with her family, or getting together with friends from church. Reporter Andrew Stone has been fearless since the day his wife was shot and killed three years ago. He has one mission─use hid Texas Ranger upbringing to find her murderer and clear his own name of any involvement. When he sees a beautiful brunette in the hands of a pistol-welding maniac, he’s forced to abandon his covert surveillance and go to the rescue. The danger surrounding Andrew doesn’t scare him at all, but the awakening of his dormant heart terrifies him. When painful pasts collide, the explosion is deafening. Can Andrew and Elyse pick up the pieces and go forward together? Or will they forever live with haunting memories, unable to forgive, unable to love? 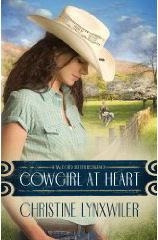 If you would like to read the first chapter of Cowgirl at Heart , go HERE.